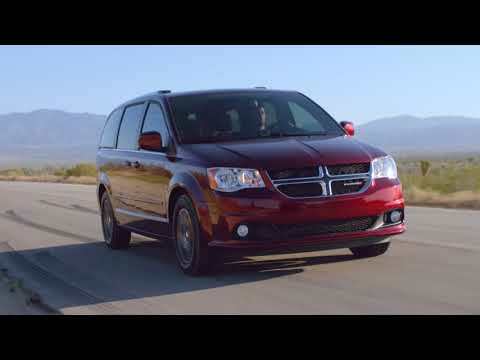 The Dodge Grand Caravan is a minivan that directly traces its roots back to the vans that changed families forever. It's old and dated, although a slight change in 2018 gave it a new lease on life for another few years. Spawned in the 1980s, the Caravan was the first minivan to be sold in the U.S. when Chrysler picked up an idea first pitched to Ford Motor Company—that of a smaller van based on car, not truck, running gear. The Grand Caravan retires soon, but it's worth considering as a budget-friendly van with some nice convenience features. It's unchanged for 2019, while FCA focuses its sales efforts on the wonderfully advanced Chrysler Pacifica. 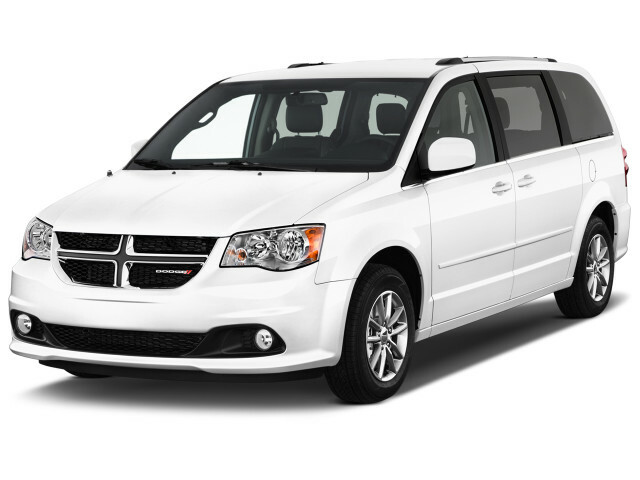 Over the years, the Caravan was offered in "Grand" long-wheelbase form for several years before it became the official, full name of the Dodge minivan. The Grand Caravan has lost some features, like all-wheel drive and manual transmissions and turbocharging, while it's gained others, such as fold-away seats and dual sliding side doors. It's also lost a couple of stablemates: both the Plymouth Voyager and later the Chrysler Voyager, and now the Chrysler Town & Country, have passed into the history books. The newest Grand Caravan remains one of the most flexible, and most affordable, family haulers available though its safety scores have sagged. In 2008, Chrysler updated the minivans with more upright styling, which seemed to be more appropriate for the Dodge Grand Caravan. 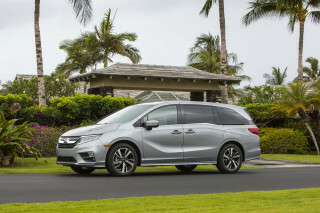 A flex-fuel version that could run on E85 fuel was added, and a new Swivel 'N Go option added a picnic table and rotating seats to the popular minivan--though that option proved unpopular and was later dropped. The short-wheelbase Caravan disappeared with the new generation--replaced by the crossover-like Dodge Journey instead--and the new vans were saddled with a plasticky, inexpensive-looking interior as Chrysler struggled to avoid bankruptcy. Stability control became standard, along with curtain airbags; options included satellite radio and TV, provided by Sirius. Three V-6 engines made up the engine lineup, and a new six-speed automatic joined the powertrain roster. For the 2011 model year, the Dodge Grand Caravan continued to resonate with families on the go, more than 25 years after the minivan first rolled out of showrooms. Chrysler's new owner Fiat gave it a new interior with much nicer finishes than that of the 2008-2010 models, plus a new 283-horsepower V-6 coupled to a six-speed automatic—which became the only powertrain. 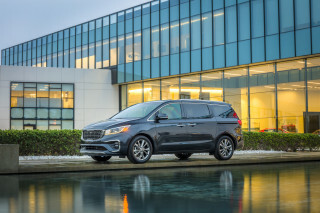 Safety features and flexible seating continued to lead the class of minivans, and it was awarded almost perfect crash-test scores. Mild handling and sheet metal updates were less dramatic. Fuel economy approached best in class, at 17 mpg city, 25 mpg highway. Through the 2012 model year, Chrysler built a version of the Dodge minivan for VW, which sold it as the Routan. 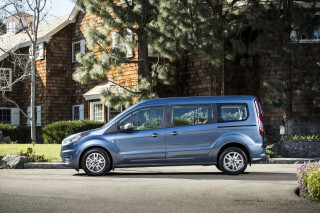 The Routan was basically a rebadged Grand Caravan with mid-level equipment but no Stow n' Go second-row seating. It's since been discontinued. The Grand Caravan was largely unchanged from 2011 to 2015. In 2013, the Grand Caravan added an optional entertainment system with Blu-Ray compatibility and with two separate screens that let rear-seat passengers watch two different video programs. The 2015 model year brought only a few minor packaging changes with value in mind. Chrysler introduced its new minivan at the 2016 Detroit auto show as the 2017 Chrysler Pacifica. For 2017, the Dodge Grand Caravan remains on sale as a lower-priced alternative, offered in four basic configurations. It's still available as a 2019 model. First conceived for Ford as early as the 1970s, the original Voyager and Caravan were moved across town to Chrysler and unveiled as 1984 models. Those two short-wheelbase vans would be considered compact cars today, based as they were on front-wheel-drive K-Car underpinnings, but a car-sized vehicle with the practicality and volume of a traditional van proved an instant hit with consumers—especially those with families. Early models were powered by four-cylinder engines, with the powertrain lineup soon expanding to turbo fours and V-6s as well. They came mostly with three- and four-speed automatic transmissions, though some of those early Caravans were built with four- and five-speed manual gearboxes. 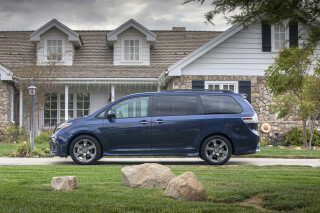 Despite what now seems incredibly primitive equipment—no airbags, no anti-lock brakes, no rear-seat entertainment, no power doors or hatch— the first minivans offered three rows of seating for up to seven occupants, and a single sliding door on the passenger side that made access to back-seat kids easier for parents in parking lots. A long-wheelbase Grand Caravan variant joined the range in 1987, and a small number of cargo-panel bodies were sold as Ram commercial vans as well. The second-generation Dodge Caravan, sold from 1991 through 1995, brought many improvements. It still ran on K-Car running gear from a decade earlier, albeit significantly updated. All-wheel drive appeared as an option for snow-belt buyers, anti-lock brakes were added, and safety features came to include dual front airbags and integrated child safety seats. Too few mourned the end of artificial woodgrain, an option on more luxurious versions of the first-gen Caravan. The faux wood option would hang on for a few years on the Chrysler Town & Country, however. For 1996, Chrysler introduced new minivans on an all-new chassis, with novel new engineering and a fresh design. The rounded look outside had hidden sliding-door tracks, while the interior had its own set of innovations. In this generation, Chrysler introduced the driver-side sliding door to the market as an option and included anti-lock brakes on all models. 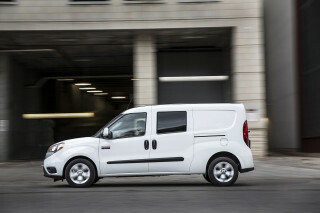 The second door became standard equipment by the time the third-generation vans went out of production in 2000. While Chrysler kept a four-cylinder engine around for the more frugal, low-impact buyers, and likely to attract fleets, the majority of buyers went for a V-6 backed by an automatic transmission. Chrysler also added roller wheels to the second- and third-row seats for easier removal and repositioning. This generation improved on the previous van's safety record, although it was not without reliability problems in the early years; there were reports of transmission failure from a variety of consumer-group sources. In the 2001 model year, a re-skin of the previous generation minivan added more distinct grilles for the Chrysler and Dodge versions. The Plymouth version left the lineup as the brand was shuttered. The Dodge Caravan and Grand Caravan gained a crosshair grille that would find its way across the brand lineup. Wider and longer, the new minivans added features like power operation for the sliding side doors. A cargo version reappeared in 2003, and for 2005, the company revamped the vans with a new feature: Stow 'N Go seating, which allowed drivers to hide the second and third-row seats under the floor, or to use the allotted space for storage. The feature was planned in as Chrysler spun a new crossover, the Pacifica, from the same architecture. The seating flexibility remains among the best in the class, five years later. Side airbags also were added as an option. People who purchase these do not expect a Cadillac Ride they expect that the rear end will not drag on the pavement when loaded up with 7 people and there stuff ( Luggage and groceries and Hardware ) . It... People who purchase these do not expect a Cadillac Ride they expect that the rear end will not drag on the pavement when loaded up with 7 people and there stuff ( Luggage and groceries and Hardware ) . It handles like a sports car when empty and handles well when loaded . and you can trailer 3800 lbs easily with a class one hitch . interior is comfortable and resilient . I have been in Hondas and Toyotas and these are better as they cannot toll the load and they have too many to mention mechanical Quirks that come up as my aunt had one and there were many services to dealer had to continually repair on hers. When I worked for a Taxi company who used the dodge Mini vans there adverage life use was 400,000 miles .